Alfred Williams Consultancy, LLC (AWC) designed and executed a public affairs strategy that produced the public support that was essential to the San Francisco Cruise Terminal development team winning the rights to develop a $270 million state of the art Cruise Terminal Complex on the shores of San Francisco Bay. AWC designed, developed and implemented a comprehensive public outreach strategy that produced the public support Levin Menzies & Associates needed to secure the entitlements to build a major $95,000,000 mixed use project in San Francisco. A a member of the design team led by Skidmore, Owings and Merrill AWC developed and implemented an outreach program that contributed to the approval of a master plan to rebuild San Francisco General Hospital. 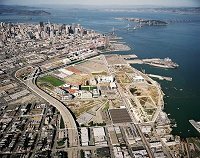 AWC assisted in developing and implementing an outreach plan that produced broad-based community support for Catellus Development Corporation's successful efforts to secure the entitlements for the 300-acre mixed use Mission Bay Project. AWC assisted the San Francisco Public Utilities Commission in creating a comprehensive strategy to maximize public participation in the preparation of an Environmental Impact Report (EIR) on their plans to revamp the City's Recycled Water Master Plan. When San Francisco's Department of the Environment (DOE) devised a Peak Energy Program to help reduce electricity consumption, AWC was brought on board to facilitate a series of public meetings and to serve as project ombudsman. AWC helped San Francisco Energy Company create and implement a public affairs strategy in support of its successful efforts to secure the entitlements to build a 240-megawatt co-generation power plant. AWC assisted the San Francisco Department of Public Works in developing and implementing an outreach plan that including publicizing and facilitating two series of scoping meetings and public workshops in connection with the Bayview Transportation Improvement Project.